Pre-order the XBOX One on Amazon now. Microsoft has just come out and announced their full support for indie developers. 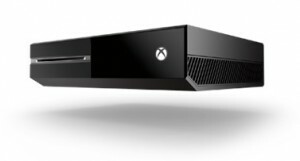 Now small and not so small developers will be able to release games on Xbox LIVE without having to go through Microsoft’s grueling process to get games on Xbox LIVE. Before, developers always needed to secure an outside publisher or partner with Microsoft Studios. The details are still a little hazy, but it seems that developers will be able to design and self-publish their games for download on Xbox LIVE. By enabling self-publishing support, Microsoft has opened their market for more truly and fun innovative titles. The report released by Game Informer states that developers will now have the ability to set their own release dates and prices. It doesn’t take a scientist to figure out that this may be another move by Microsoft to make the Xbox One be more competitive with Sony’s PS4 – Sony has shown self-publishing support since the PS3 was released. More concrete details will be released at Gamescom in August.